LSBU expert in planning policy and urban regeneration Dr Michael E. Leary is co-editor of a new book, 'The Routledge Companion to Urban Regeneration'. A joint project with colleague Dr John McCarthy of Heriot-Watt University, Edinburgh, the new book provides cutting-edge critical review and synthesis of recent conceptual, policy and practical developments in the field of urban regeneration. Dr Michael E. Leary is a senior lecturer and course director for the MA Planning Policy and the MA Urban Regeneration in LSBU's Faculty of Arts and Human Sciences. Dr John McCarthy is a Reader in Urban Studies in the Institute for Building and Urban Design at Heriot-Watt University. With a foreword by Lord Michael Heseltine and contributions from 70 international experts within the field, the book explores the meaning of 'urban regeneration' in differing national contexts. It provides informed discussion and analyses to illuminate how an apparently disparate field of research, policy and practice can be rendered coherent, drawing out common themes and significant differences. "In the past decade, urban regeneration policy makers and practitioners have faced a number of difficult challenges, such as sustainability, budgetary constraints, demands for community involvement and rapid urbanisation in the Global South," explains Dr Leary. "Urban regeneration remains a high profile and important field of government-led intervention, and policy and practice continue to adapt to the fresh challenges and opportunities of the twenty-first century, as well as confronting long-standing intractable urban problems and dilemmas." The book aims to be a valuable resource for both advanced undergraduate and postgraduate students in urban planning, built environment, urban studies and urban regeneration, as well as academics, practitioners and politicians. There is a conference and associated book launch on 6 February 2014; more information is available at lsbu.ac.uk/regeneration (external link). 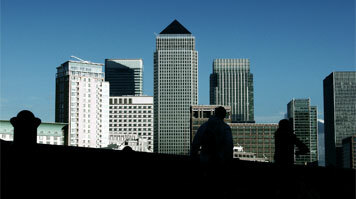 Picture of London's Canary Wharf by photographer costi.